You may submit a registration form for the all sessions you plan to take. Please note you risk losing your spot in future sessions if you don't register for all at once, as anyone can register for future sessions anytime. If you need to cancel a session, please email us at least 2 months prior, or you will be charged for lessons that session until we are able to fill your spot. $360 per 8 week session for group lessons on one of our lesson horses, or $120 per 8 week session on your own horse boarded at Paints-Plus Equine Center. Private and Drop-In Flat, Dressage or Jumping Lessons for boarders only. Cash must be paid to instructor at each lesson, as these may not be billed after.  + Private lessons are $30/half hour, $35/45 minutes, $40/1 hour. Semi-private lessons are 2 people for 45 minutes for $30 each. + Drop In lessons are available to boarders at $20/lesson and haul ins at $40/lesson, only if there is space available in any class, so contact instructors for available days and times once each session has started. Iris has a drop in dressage class every Sunday 6:30pm Sept though June and drop in scary jumping or poles/cavalletis alternating Thursdays 830pm in May and June. Check calendar page to confirm if drop-in is running, as sometimes shows/clinics conflict. 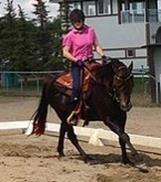 $200 per 8 week session for 1 lease ride per week on a lesson horse. We offer part leases on some of our lesson horses. This is an opportunity for lesson students to do an additional day of practice flat riding each week, and ride the same horse for 1 or more sessions. In July/Aug we part lease some of our lesson horses also. Lease rides are Tuesdays 5:30 or 7:30, Wednesday 2:30 or Sundays 4:30. Makeup lease rides may be allowed, but only within the week of missed ride. Students interested in leasing must be approved by their instructor as being capable of catching, grooming and tacking up safely on your own. 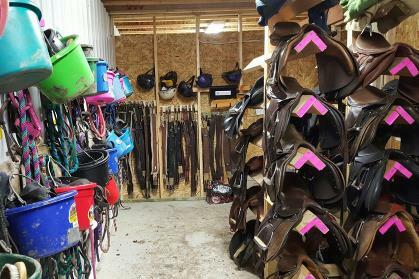 There are also often boarded horses for full or half lease to responsible students that have had experience leasing lesson horses and want to ride more often. CAN I BOOK A TRIAL LESSON? 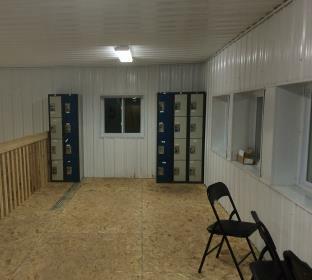 Trial lessons may be available in a group that has space for $60 cash. You may also arrange to come and watch a lesson. DO YOU HAVE LESSON HORSES? 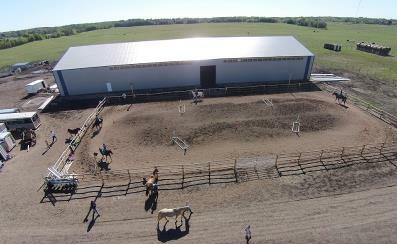 We have over 30 lesson horses for different levels of riders that don’t have their own horse. 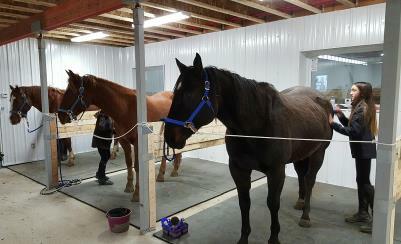 The horses are kept outside, clipped & blanketed in the winter, to speed up cooling out for students after their ride. CAN LESSON STUDENTS GO TO SHOWS IF THEY DON'T HAVE THEIR OWN HORSE? We do a barn fun show for all students in December with flat classes and games and a jumping show in February. We also take students to the Colchester Ag Society flat/gymkhana and jumping shows. To go to other horse shows, you must full lease or have your own horse. DO PARENTS NEED TO STAY? In our regular lesson program, parents are not required, but are welcome to spectate. For our 5-7 year olds students, 1 parent/guardian is required to stay and help per child in the barn and arena. WHEN DO I NEED TO ARRIVE FOR MY LESSON & HOW LONG DO I STAY? Students must arrive at least 1/2 an hour before the lesson to get horse caught, groomed and tacked up. Tacking Assistants help beginner 8-14 classes. Lessons are 1 hour in the arena, and run back to back, so if you are late, your lesson will be shorter. You must also plan on staying after the lesson up to 30 minutes to cool horses out, untack, groom, blanket & turnout. WHAT DO I NEED TO BRING? All students must have their own properly fitted ASTM approved riding helmet and boots with a minimum 1/2" heel (paddock boots, ropers or cowboy boots are preferred, but rubber boots with a heel are acceptable -- its difficult to put your heel down in rubber boots). Hiking boots or winter boots are also acceptable, provided they don't get stuck in stirrup and have a heel. The arena is heated to 8 Celcius in the winter so horses don't overheat, so wear warm layers in the winter, including gloves and headbands. 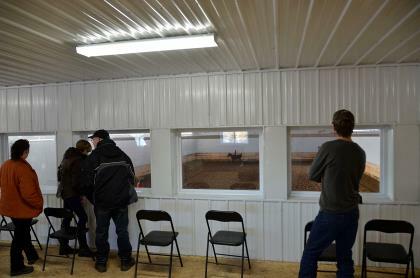 The tacking area is 12 and upstairs spectator area is 17. 15+ years experience coaching, training, showing pleasure, jumping, driving, dressage, gymkhana, trail. We offer group lessons for ages 8-adult. Beginner and Intermediate Flat and Jumping Level 1 classes are open to new and current students. Jumping Level 2/3 classes are only open to current/past students as there will be no assistant to help with catching and tacking for those classes. 3 day/week leases available July/Aug for students with leasing experience. Email for new student trial lessons if space available in current classes. Our weekly group lesson program is geared towards beginner to intermediate level english, western, & jumping for ages 8-14 and 14-adult. We do also have shorter beginner lessons for ages 5-7. 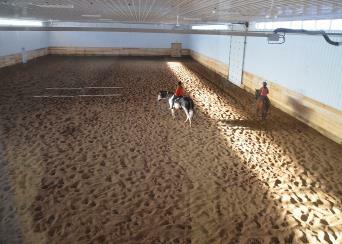 Lessons run year round in our heated indoor arena. We don't cancel due to temperature in the winter. We teach in the outdoor arena when the weather permits. Jen Maciej joined us in Feb 2017 to teach some western beginner to intermediate and western dressage students. Iris Rau teaches English, jumping, western, dressage. Diploma in Equine Science CHA Certified Coach. Also trains English and Dressage.